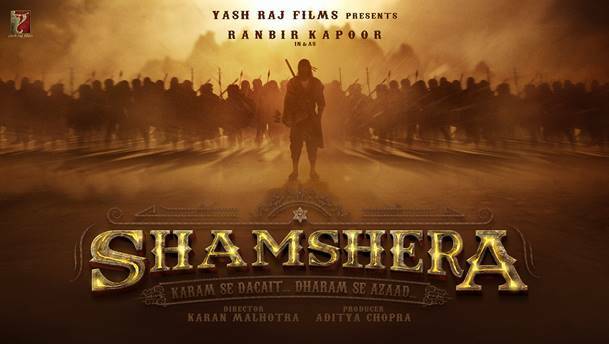 YRF’s Shamshera starring Ranbir and Sanjay To Release On July 31, 2020! YRF’s action spectacle Shamshera that pits Ranbir Kapoor and Sanjay Dutt in a bloody face off on the big screen is set to release on July 31, 2020. Yes, sadly we have to wait until 2020 but from what we hear it will definitely be worth the wait! Directed by Karan Malhotra, who directed the blockbuster Agneepath, Shamshera is a desi, high-octane masala film. An edge of the seat adventure, it is set in the heartland of India and will have jaw-dropping action sequences and a never seen before Ranbir Kapoor. Sanjay Dutt takes on Ranbir as he plays a ruthless, merciless villain in the film. Shamshera also stars Vaani Kapoor as a gorgeous temptress and her Jodi with Ranbir makes it another exciting storyline that promises to be big on the big screen. The film is set to go on the floors end of this year and shooting will wrap by mid 2019. Stay tuned you can bet we will be bringing you all the Shamshera news! 15 queries in 0.344 seconds.